Valentine’s Day is just around the corner and we have decided to make it more exciting for you and your loved ones! 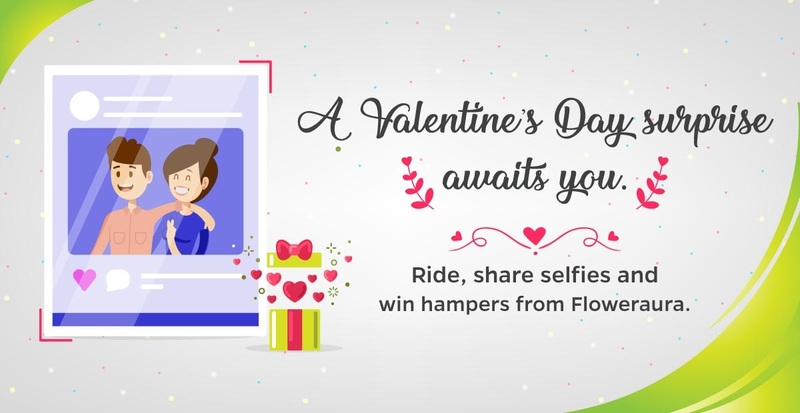 Ola in association with Floweraura brings to you a Valentine’s Week contest that can win you unique gift hampers. Wondering how? The offer is exclusive for Ola users in Delhi- NCR. Offer is valid from 5th February, 2019 to 12th February, 2019. ** Ola customers are expected to share selfies of his/her loved ones on social media tagging #Olacabs #Floweraura #CRN (the CRN should be of the same rides in which the user has used the code Love). ** Each Selfie will be rated and the ratings will be decided by Ola based on theme, creativity and picture clarity. ** Share with highest rating i.e. from 1 to 5 or with more likes will be declared as the winners. To find your CRN number, just go to the ‘Your Rides’ section in your Ola app as given below. The most interesting social media posts will be gifted hampers from Floweraura on Valentine’s Day! So go ahead, book your ride today and make your Valentine’s Day more special with Ola. ** As per the Offer, Ola customers in Delhi- NCR are eligible to win this hamper by using the Code LOVE, a zero discount code during their rides and should have taken a minimum 2 rides during the validity period mentioned above. 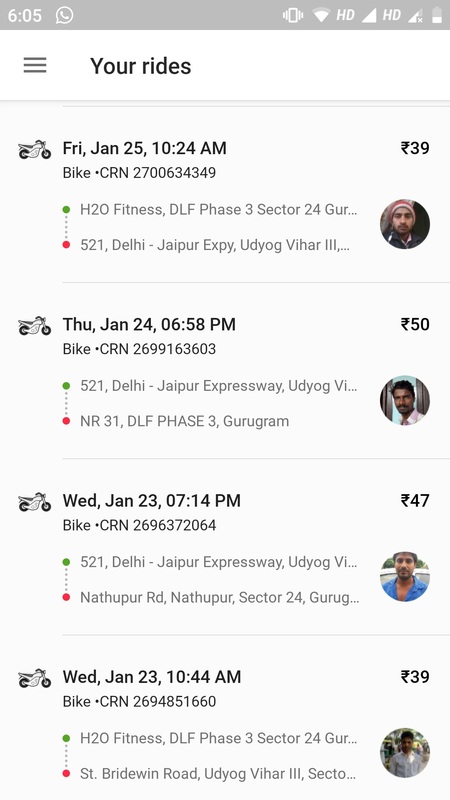 ** This code is applicable on Bike, Auto, Micro, Mini Prime & Rental rides. ** Ola shall declare 10 Winners based on above criteria. ** Ola reserves the right to change/alter/modify any of the terms and conditions under this Ola Contest at its sole and absolute discretion. ** No other Selected Participant who is not a declared Winner shall raise any claims whatsoever. ** If no Winners are declared from the Selected Participants, Ola shall shortlist again from the Eligible Participants. ** Hampers will be disbursed by FA on 14th February, 2019. ** Vendor may cancel the gift hamper at its discretion to a non-eligible customer at any point in time without any liability to any person whatsoever. ** To avail the offer, it is mandatory for the customer to share his/ her personal details. ** Winner will be announced post conclusion of the contest.